(AUSTIN) — Taxing entities, including local school districts, would have to get permission from voters to raise property taxes more than 2.5 percent annually under identical legislation filed in both chambers Thursday. Today, entities with taxing authority can increase taxes up to eight percent a year before voters can weigh in. These bills, SB2 and HB2, are the first step in fulfilling state leadership's promise to enact property tax relief for taxpayers in Texas, says Lt. Governor Dan Patrick. "People desperately need property tax reform, our businesses need property tax reform, and we have set out, on this date, early in session…with a major piece of legislation," he said. "We are setting the tone for the rest of the session on this issue." Under the proposal, only taxing authorities who bring in less than $15 million in annual revenue would be exempt from the new requirements. 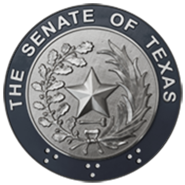 Shepherding this bill in the Senate will be Houston Senator Paul Bettencourt, who chairs the newly created Property Tax Committee. Property tax reform has been Bettencourt's signature issue as a legislator, and he said it's critical to deliver on this front. "The vexing problem facing taxpayers is that tax bills are going up at least two or three times faster than they can handle," he said. "I think that the concept of having a two and a half percent rollback rate across the board means there's a universal solution." The bill would also change how tax ratification elections are conducted. Right now, if a taxing entity other than a school district adopts a property tax rate that exceeds the rollback rate, that eight percent cap on annual tax growth, then it's up to voters to collect enough signatures to trigger the election. Petitioners have 90 days from the adoption of the tax rate to submit the petition, which is valid if seven percent of registered voters in the taxing jurisdiction sign on. School district rollback elections are automatic, triggered when an adopted rate exceeds the rollback rate, and SB 2 would make that the law for all taxing entities. Moreover, the election date would move to the uniform election date in November in order to increase participation. If a majority of voters reject the proposed rate, then 2.5 percent is the most the taxing authority could raise the rate. The bills also contain a number of transparency and open government requirements, intended to better inform taxpayers about property tax rates, measures and history. The state would create and maintain a real time tax database, which would include a searchable index of properties, that includes the most recent appraisal value, the market value, and the taxable value of any given property. It would put strict requirements on public notices for tax adoption hearings, including the proposed tax rate, the rollback rate, formulas for how those rates are reached, and the average amount of tax levied on property in the jurisdiction. It also includes new rules about who can serve on appraisal review boards and includes more taxpayer protections in appraisal disputes. In the past, local elected officials have turned out in force to oppose caps on taxing growth, saying it harms their ability to deliver on needed services in their home communities. So far, those efforts have succeeded, as similar measures have failed to reach the governor's desk in previous sessions. Patrick said that while he hopes local officials will work with the state on this issue, ultimately property tax reform is coming. "We have been stopped time after time in the past by a total resistance to reform," he said. "The days of saying 'no, we're going to kill the bill because we don't want change'…that day is over." Hearings on this bill will begin next week, with Bettencourt saying that his committee will meet at 8 a.m. on Wednesday, February 6th. The Senate will reconvene on Friday at 11 a.m. in order to refer this bill and others to committee.